Keeping on the Wolverine 3 movie rumor train, here's another first appearance of a character that may, or may not be featured in the next film. There's a lot of speculation going on out there as to who is going to be the big baddie in Hugh Jackman's last go as everyone's favorite Canadian mini mutant. One of the names I'm seeing fairly frequently is that of Omega Red. 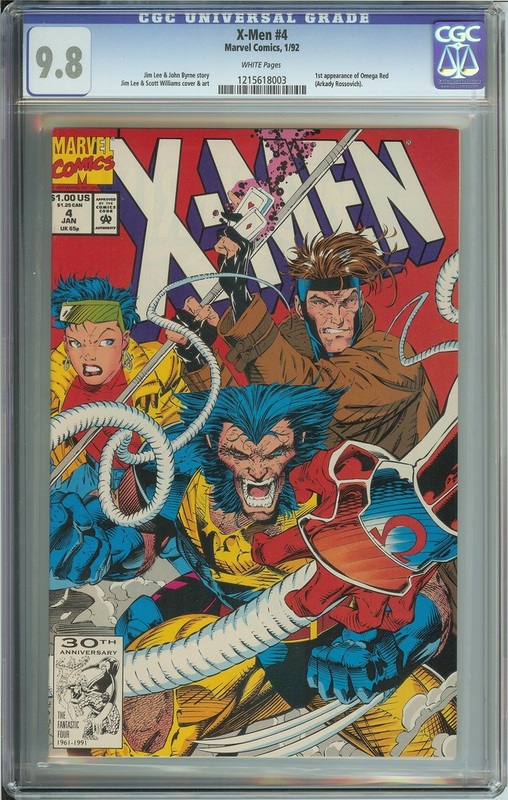 Omega Red made his first appearance in the pages of this X-Men comic. He was created by the team of acclaimed writer John Byrne, and legendary artist Jim Lee. Arkady Rossovich is from the former Soviet Union, and is the man who would eventually become Omega Red. There are a couple of origin stories out there, but I'm not sure which one is the true story, since I haven't read all of the comics that feature him. He's not a very good guy in either version. In the first version of his origin story, he was a serial killer that was captured by Interpol agent Sean Cassidy, also known as Banshee. Then, he was turned over to the KGB to be put into their version of the Super Soldier program. The second version has Rossovich as a Soviet soldier, but still a serial killer. When his comrades found out about it, they put a bullet through his brain. Miraculously, he doesn't die, so they send him off to the same program as I mentioned before. Like I said, I'm not sure which version is the real version, but in this issue, when Omega Red finally meets up with the X-Men, Wolverine is very surprised to find out that he is alive. While in the program, Rossovich is implanted with two retractable carbonadium tentacles in his arms, similar to the ones that Doctor Octopus has. He's also able to secrete a pheromone that can result in sickness, or worse, death. I don't have any information about the print run for X-Men #4, but with it coming out around the peak of the comic boom in the 90's, you can expect there to be a lot of copies out there. As of right now, there are only 929 copies in the CGC census. That's not a lot, but don't let this number fool you. The current low number in the census doesn't mean that this book is rare, it only means that not many people think that this comic is worthy enough to send in to be graded. I expect that this number will start to rise in the near future. Even though there are that many copies graded yet, almost 2/3 of them are graded a high 9.8. Of the 929 copies, 641 are 9.8's. I'm surprised that there aren't any copies graded higher than that, but that could change if everyone starts submitting this comic to be graded. If you're looking for a high grade copy of this book, it's not going to cost you an arm and a leg, or your first born child. 9.8 copies are still selling for less than $100. Signature Series copies will end up costing a little more, but even they are still selling for under $200. Don't worry about any sales lower than a 9.8 for this comic right now. For the best return on your investment, you should only be looking at high grade copies anyway. If you were to snag a copy of this comic, now would probably be the time to do it. It's still very affordable in high grades. 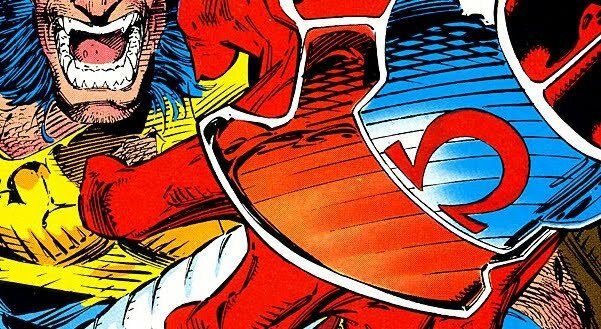 If the rumors turn out to be true and Omega Red is confirmed to appear in the new Wolverine movie, you can expect to see values rise very quickly, and if you don't jump on it now, you'll be digging into your profit margin.